Every now and then when I think about how we started our journey, I’m blown away by the time that has passed. We’ve been doing this for 13 years now. Wow! We went from under- to fullsized aluminum yoyos, from pad response to sILYYcone, from monometal to bimetal and even trimetal. From soft anodization to CandyBlast, from small batches to large runs and super limited special releases. For quite some time we sponsored a team, worldwide events, meetings and ran a large and active message board. 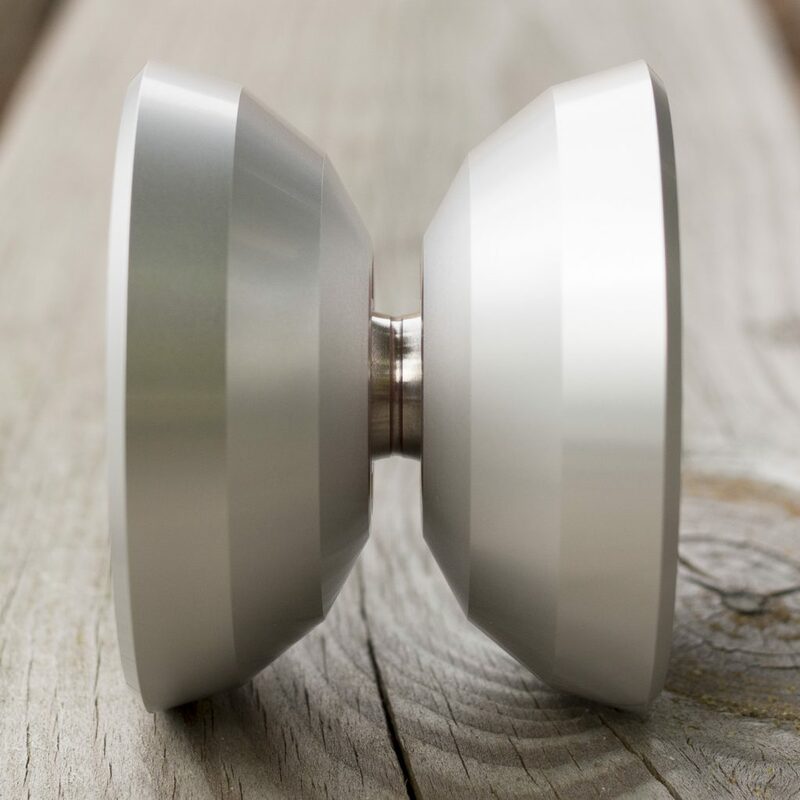 But one thing in particular we haven’t done until today, and that is our own full titanium yoyo. Granted, we’ve been playing with the idea for over ten years but never came around and left the idea phase. However, we knew ever since the Liopleurodon became such a massive success that our titanium efforts have to make use of the insane levels of mojo the Lio had. Many makers use working titles for their projects and choose a fitting name after most of the design is finished. We at ILYY like to work the other way. A cool name motivates us even more to create something truly unique and amazing. The emotions while forming the idea of the yoyo and the mood we want it to express are key factors to the naming process. 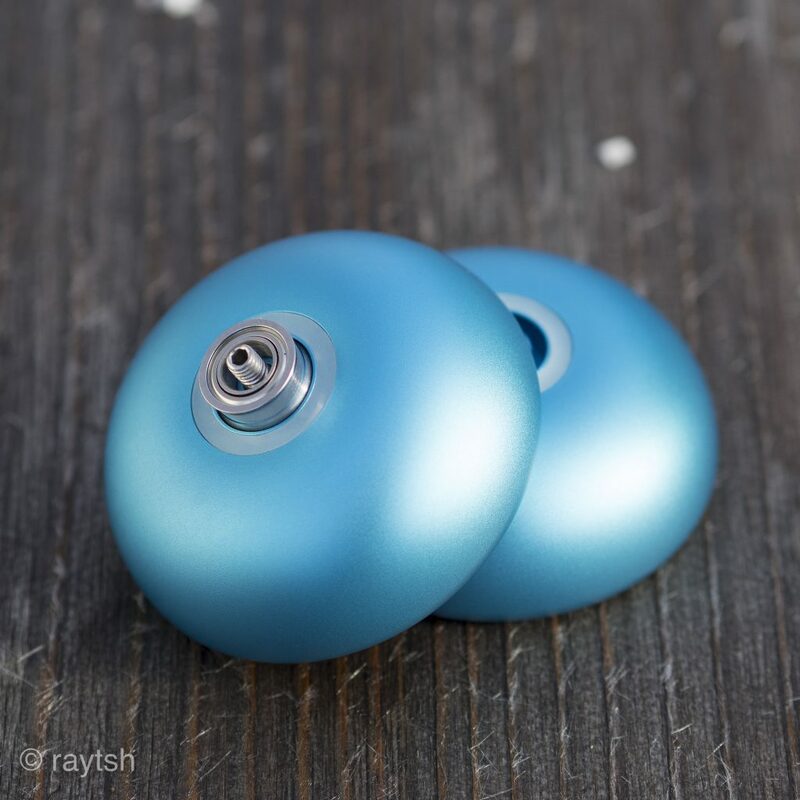 With this all new titanium yoyo we want to encapsulate the essence of an easy Sunday morning. A state of mind far away from stressful business, traffic jams, deadlines and any hectic pace. Dominik has never been a coffee person, instead he enjoyed hot chocolate in those occasions. A few years back, he discovered Darjeeling, the famous black tea from India and has been hooked ever since. He especially enjoys the second flush harvest in the second half of the year which produces a more aromatic less leafy flavor. On weekends,he loves to sit down, sip his tea and enjoy the calmness and piece of these quiet two days. We thought long and hard about a name for a titanium ILYY that expressed easiness and calmness. 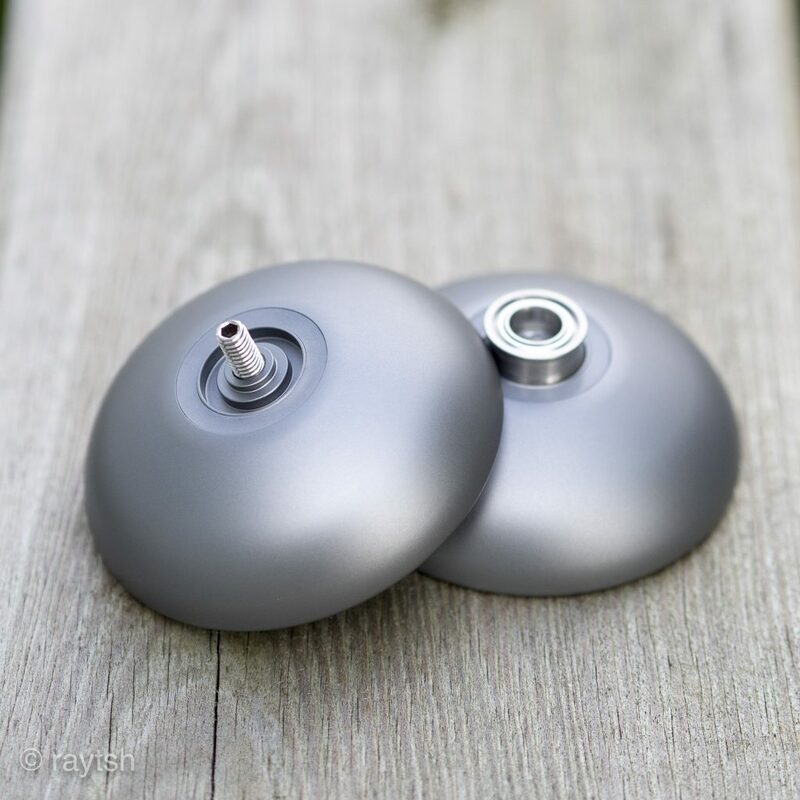 Many titanium yoyos are given pun-intended names that showcase their titanium construction which we always found pretty cool but we did not want it to be too bland. And then it hit us! 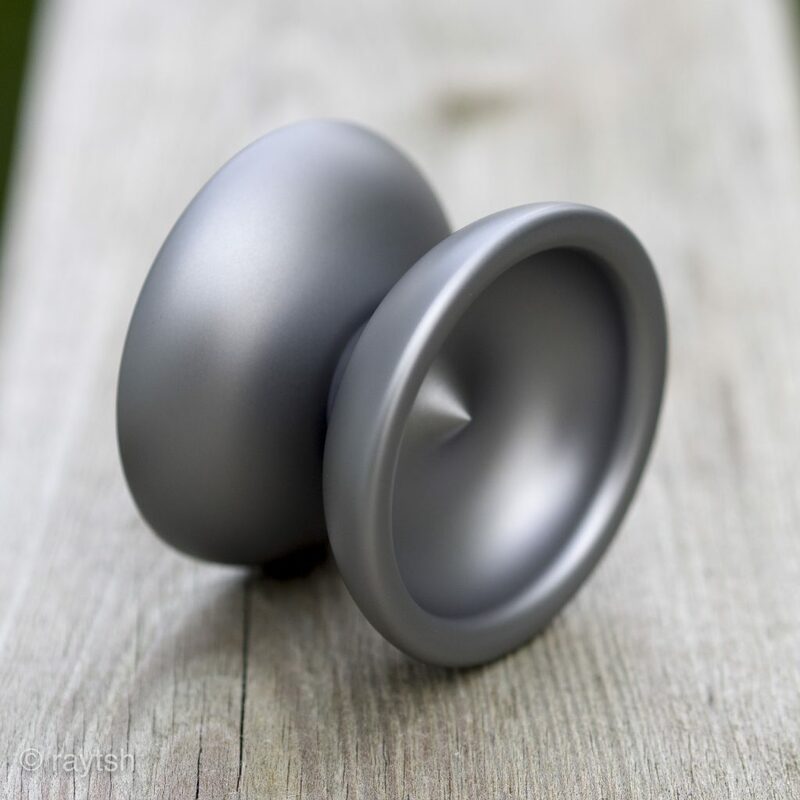 ILYY has never made a full titanium yoyo. But now, it’s Teatime! As of now, we cannot say how many Teatime will be made. If you are interested, let us know via email (info@ilyy.de), so we can get an idea of the numbers. 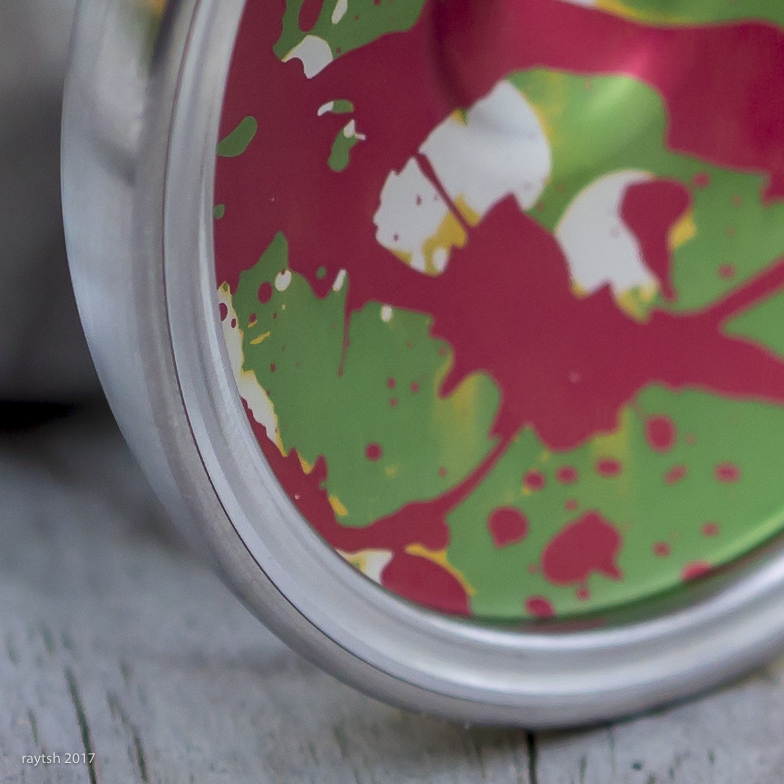 We are really excited for this yoyo and can’t wait to show you the first photos of the real deal. You can never truly know if a yoyo will become a hit. 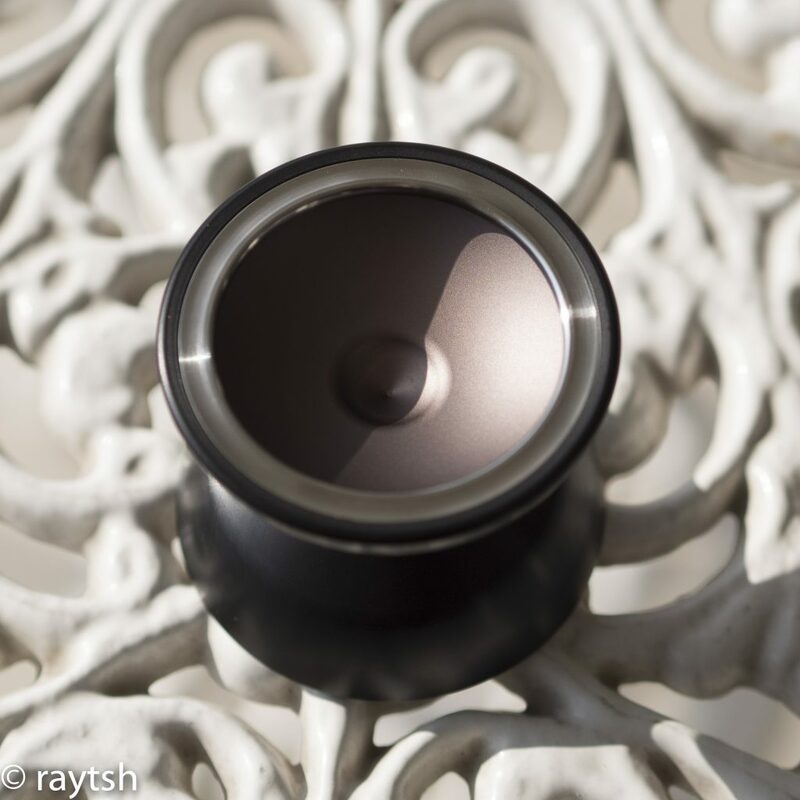 Especially, if the base design or premise of the yoyo is not laid out to be highly popular. We followed this philosophy of crazy yoyo designs throughout the 10+ years of ILYY. This led to all kinds of weird shapes with sharp curves (Noctu) or flat can-like appearance (PYBIT). With one yoyo however, we did not incorporate craziness by adding weird curves but by supersizing it. And what other yoyo to chose for giantification than our prime specimen – the E1NS. 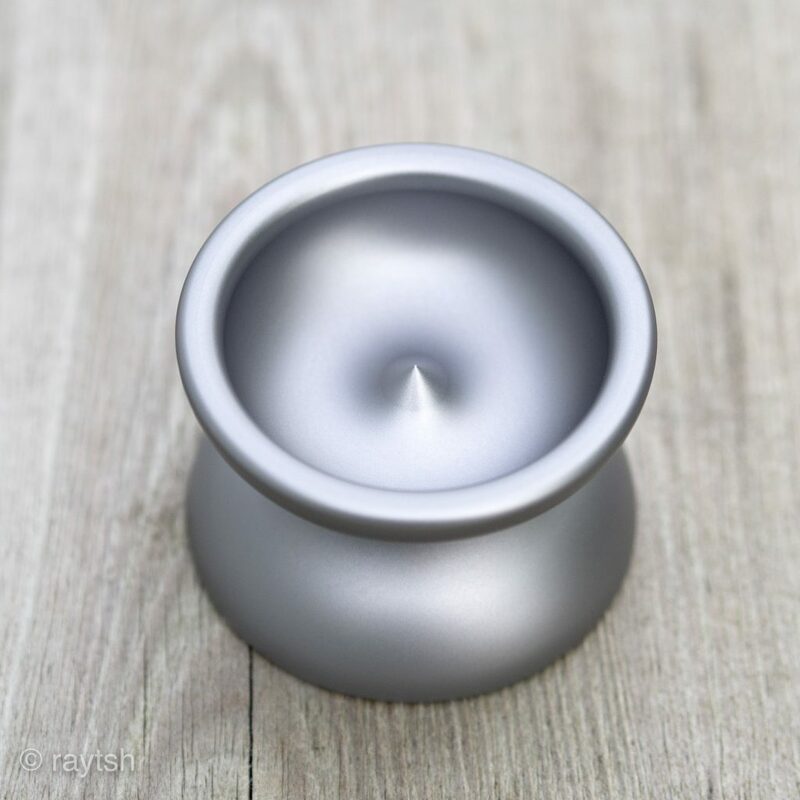 Back in 2010 we introduced this yoyo and it was called 2WEI, not really regarded as a successor to the E1NS, more like a different approach. When planning the order at that time, we did not have high demand. People were not sure what to think of it. It was very wide and chunky, almost the exact opposite of what competition-driven yoyos should look like. For this reason, there weren’t many 2WEI produced. When people got their hands on the one and only production batch, this perception changed. The fear of playing a brick with a string faded and folks recognized the amazing feel of the 2WEI – the ultimate bubblegum funday yoyo. The unique and fun playability paired with the highly limited numbers led to a 2WEI cult in the BST-boards we would have never imagined. As soon as one popped up, it was gone immediately. They were that sought after by players and collectors. So now, to kick off 2019, we will bring it back. Better than ever with amazing smoothness, silky finish and a new never-been-done color for ILYY in azure blue. These came out insanely nice, we are blown away by the end result. We received great feedback from you about our approach of the Solid, namely C-sized bearing and 19mm response pads, so we decided to add them to the 2WEI as well. When throwing it, you immediately feel the 2WEI’s powerful spin. It weighs in at 67g that are carefully distributed to allow for the mentioned super spin times while keeping the floatiness alive. While 67g are definitely more on the heavier side, the large dimensions of the 2WEI make good use of the mass. It does not feel chunky and slow, it feels powerful and chilled. It will put a smile on your face from the moment you land your first trapeze. 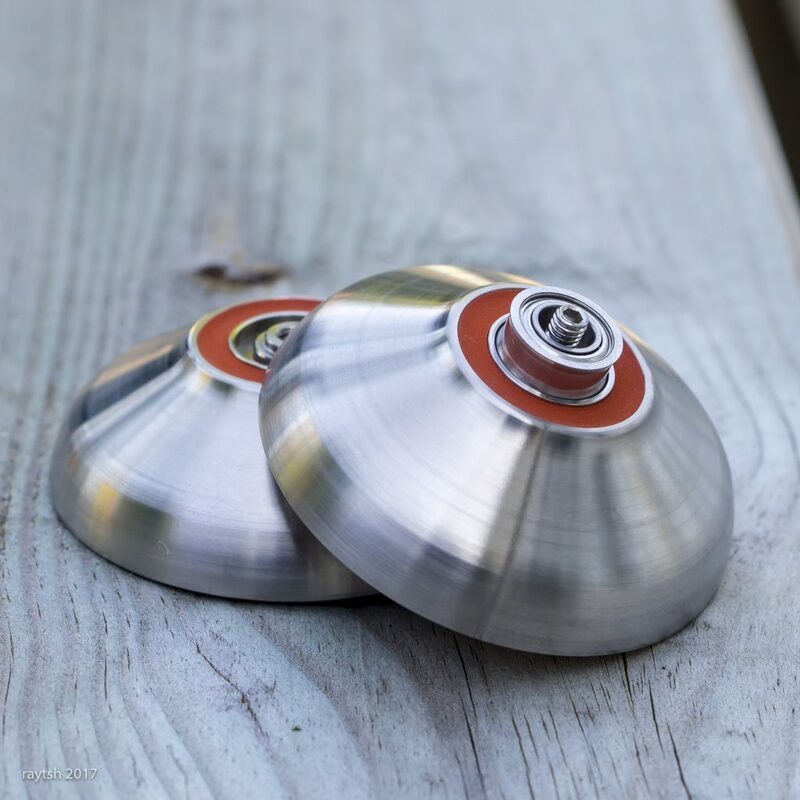 Looking at the inertia of the yoyo, the 2WEI ranges among the top monometal yoyos in our line up only surpassed by the Fury, which of course dominates thanks to its extreme H-shape. Price will 70€ plus shipping. All gone! Due to high demand for these, we are currently looking into releasing a second small batch (same specs & maybe a different colour) in the coming months. Send us an email to info@ilyy.de to get on the waiting list. 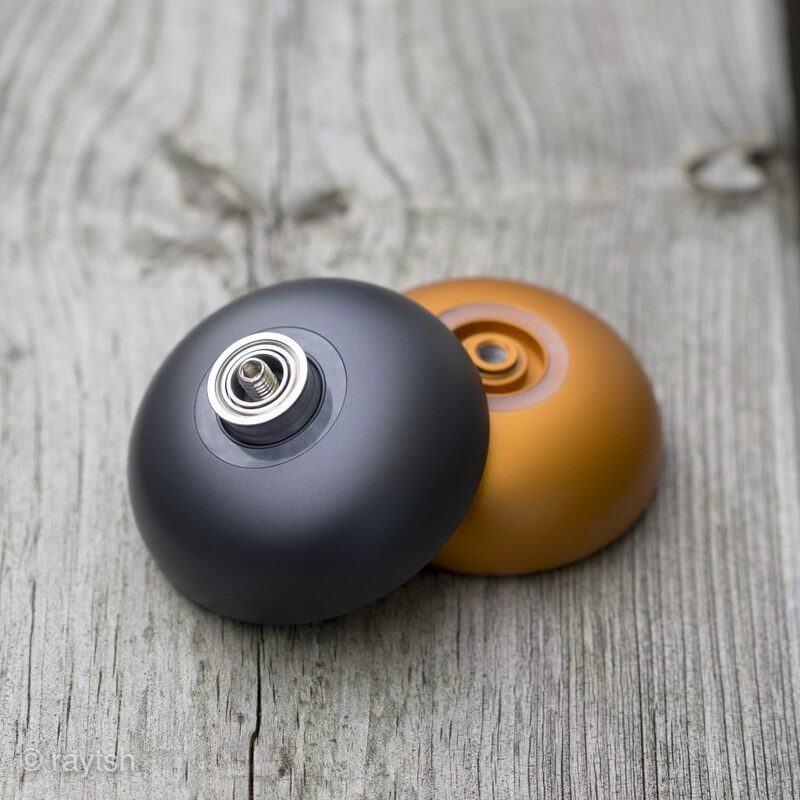 It has been over a decade since we cooked up the crazy idea of making our own little yoyo to enjoy. Back in the day, the amount of different shapes, sizes, weight, construction types etc. 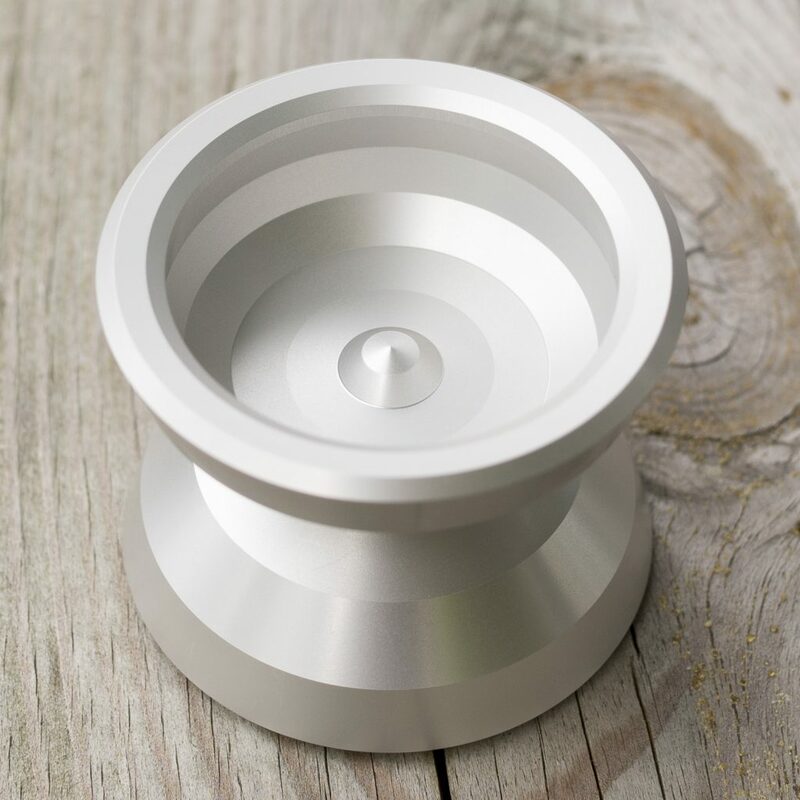 was limited and we felt there was a void regarding small but powerful aluminum yoyos. 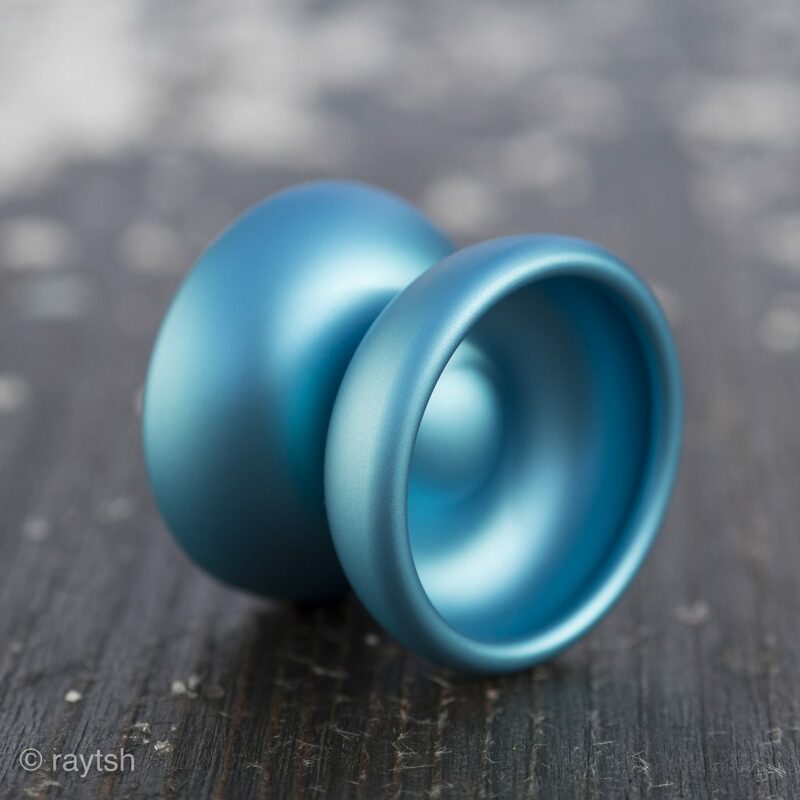 So we stuck our heads together and after many discussions came up with basic shape of our first yoyo – the legendary E1NS. We went through many iterations throughout the years following its initial release with different weight distributions, colours, finishes, sizes (2WEI), guts and so forth. But each and every of these versions came with the distinct E1NS-feel. Letting it shine once more after its 10th birthday was only a matter of ‘when’. Since we had projects running that we wanted to complete beforehand (DR3I, 3145, Solid) this project got a little pushed behind, but not for the worse. Had we had the time back then, it would only have been a normal E1NS. But if you know us by now, you realize that this not ILYY-like at all. From this extra time to think about the new E1NS we came up with the strong desire to combine old and new. We used our old sketches and blueprints to achieve an overall shape as close as possible to the OG from 2007. But then we turned the madness-dial all the way to superundersize and shrank the yoyo to a mere 45.6mm in diameter. To compensate the weight reduction we then replaced a part of the rim with steel inserts that retain the exact overall shape. For such a small yoyo to feel right, its weight needs to come down as well. The 59g are just right for the small guy. 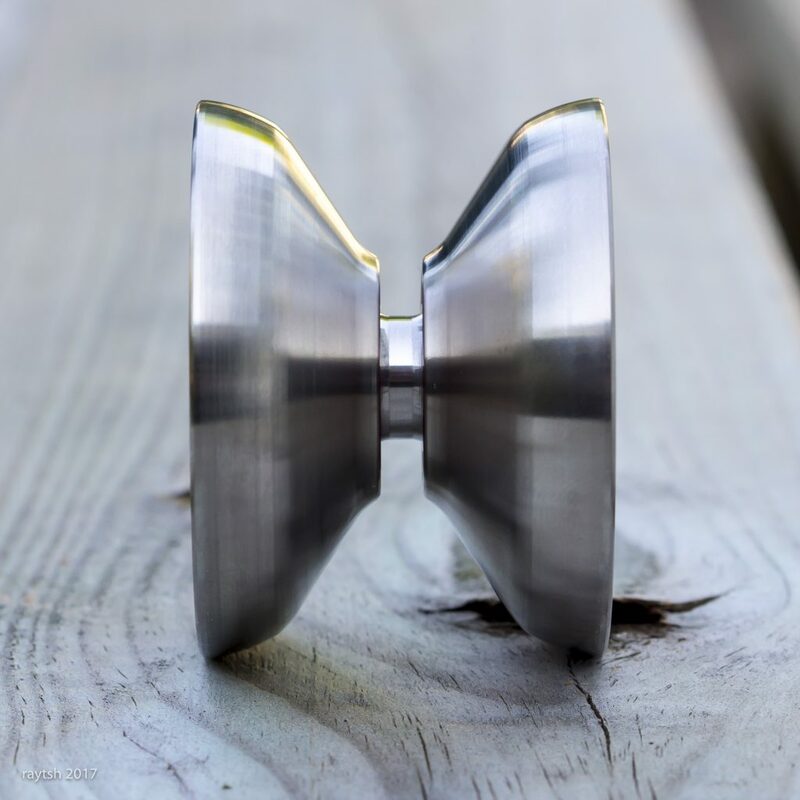 From the first second I threw our DR3I titanium prototype I fell in love with its dimensions. The slightly undersized diameter combined with the slim profile and light weight is such a nice combination. It feels sturdy, reliable and isn’t prone to tilt, it just feels solid. This inspired us to delve deeper into this and create a yoyo which oozes these values. 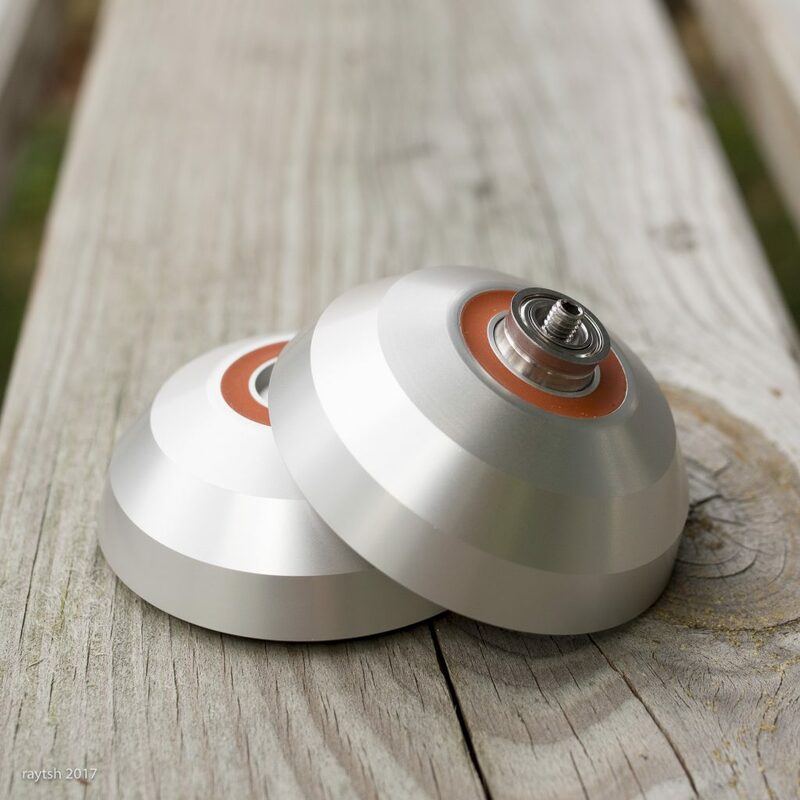 What is more down-to-earth than a good ol’ mono-metal aluminum yoyo? No fancy shape experiments – just a robust and slick organic shape. No dimples, plateaus, grooves, lips – Just material where it’s needed. No super short axles that get lost in the infinity of space time. 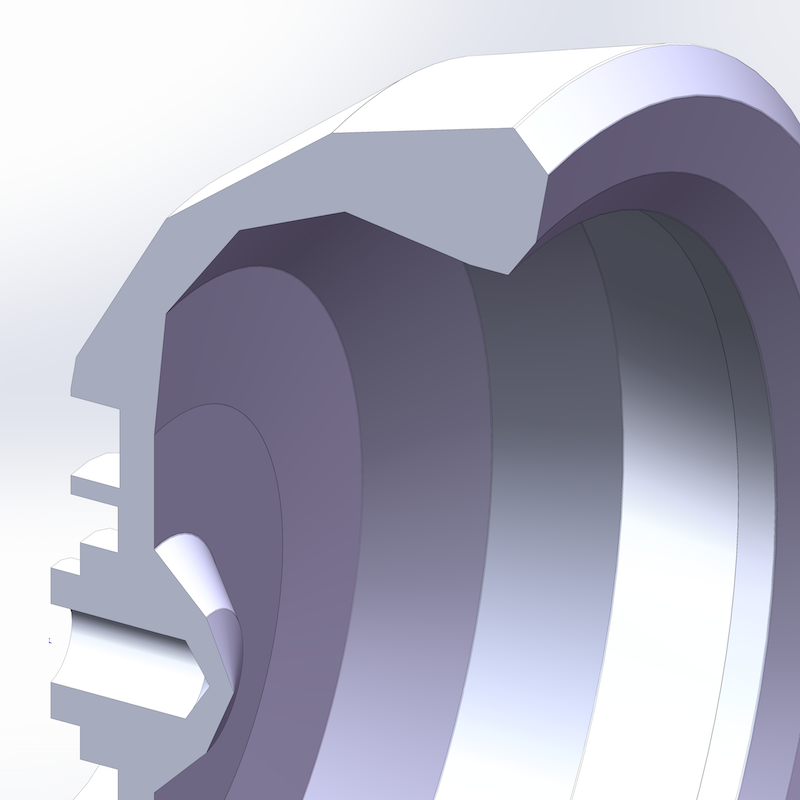 No special bearing or pad sizes, the industry standard shall do. No matter where you live, you can get bearings, axles and pads that fit in case you need them. No splash, dots, spray, sparkle, wash, fade with rainbow colours – Straight up grey. This is our new yoyo: Solid. We have 15 pieces available for purchase. Contact us at info at info@ilyy.de to grab yours. 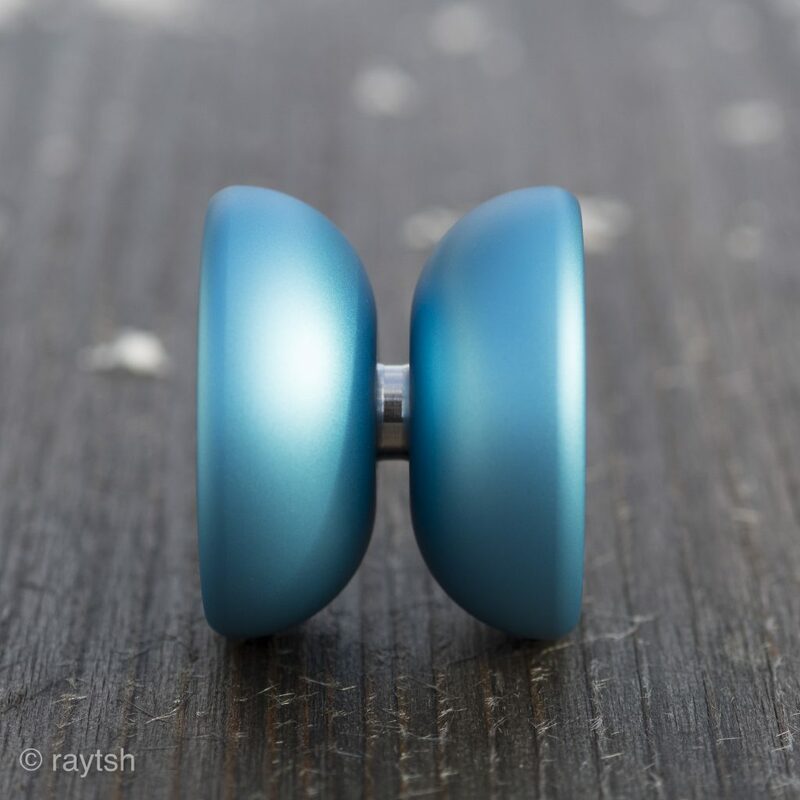 The concept of the DR3I to incorporate 3 materials into the body construction (namely titanium, steel and aluminum) resulted in a great and unique yoyo that ranges amongst our greatest creations to date. However, since the machining and fitting these parts with respect to our tight tolerances results in a very complicated and expensive process, we are currently not able to provide more DR3Is to all those who were interested. We are very sad about this and will keep on trying to find a way to machine them in sufficient numbers. However, we tried something else in this concept area. Replacing the titanium body with machined polycarbonate. To accommodate the lesser density of PC, we increased the overall width of the body which allows for a greater curve in the cup for even easier centering during finger spins. 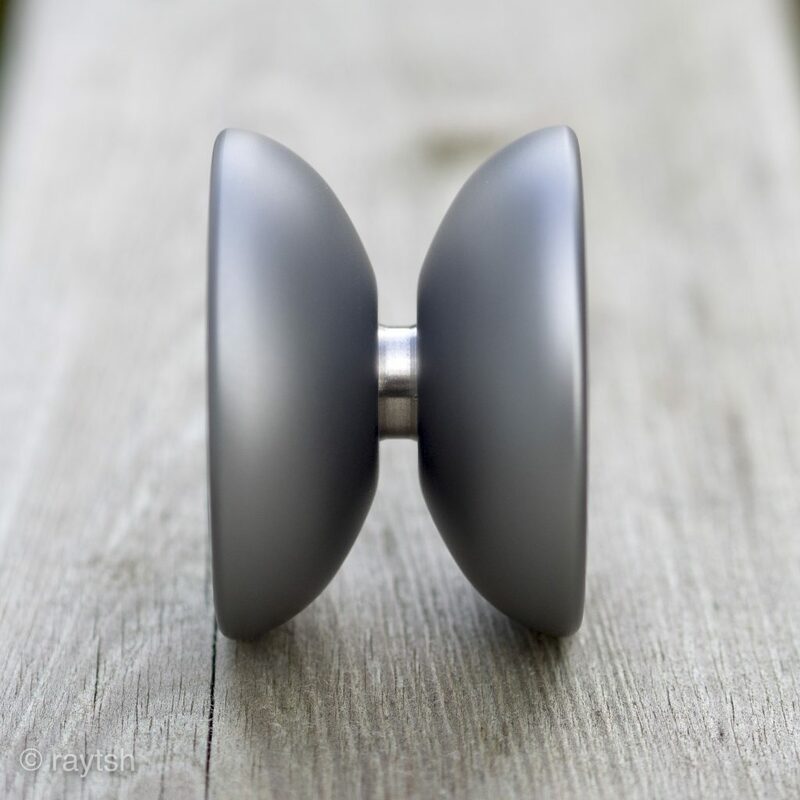 Those of you who inquired about a titanium DR3I last year will have an exclusive option to buy before anyone else. We will contact you via e-mail. Should there be some left, it will be announced here then. Being a brand founded over ten years ago, our urge for nostalgia is a strong pillar of our doing. We cured these itches with our renditions of the AnY Air Rider and the SPYY Radian (Thunder & Lightning). Another great yoyo of the past was The Cut by hspin. It featured a radical design twist where only linear contours were used to create the overall shape. We still love this idea to this day so we thought ‘why not make a fun yoyo with this concept’. Said and done. 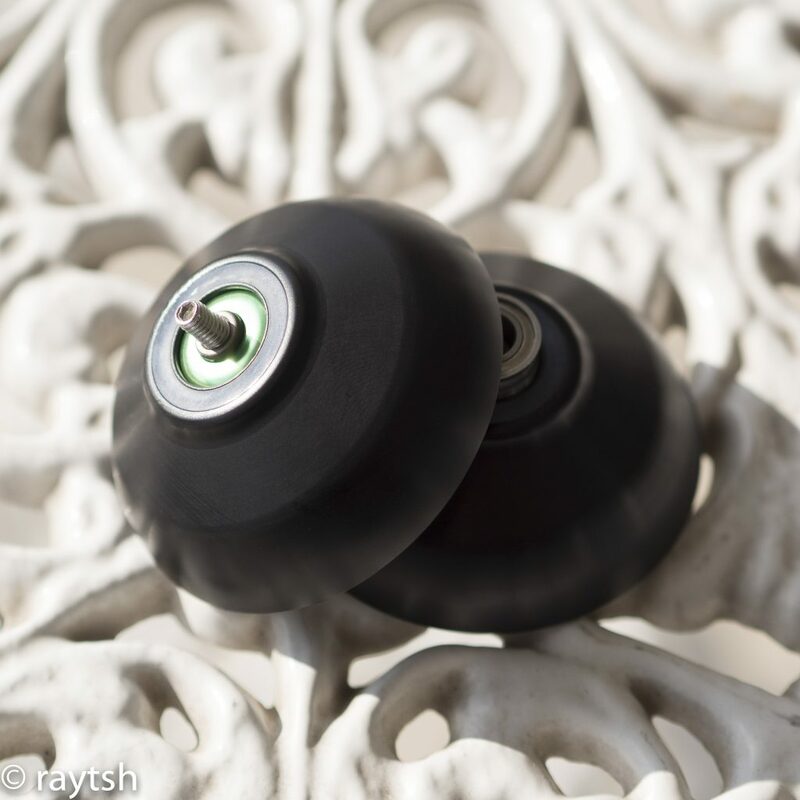 We give you the 3145 (BIAS) – a mid-sized, lightweight yoyo with lots of edges. No fancy weight rings, grooves, cups, splashes etc. Just a fun throw for some quality time. 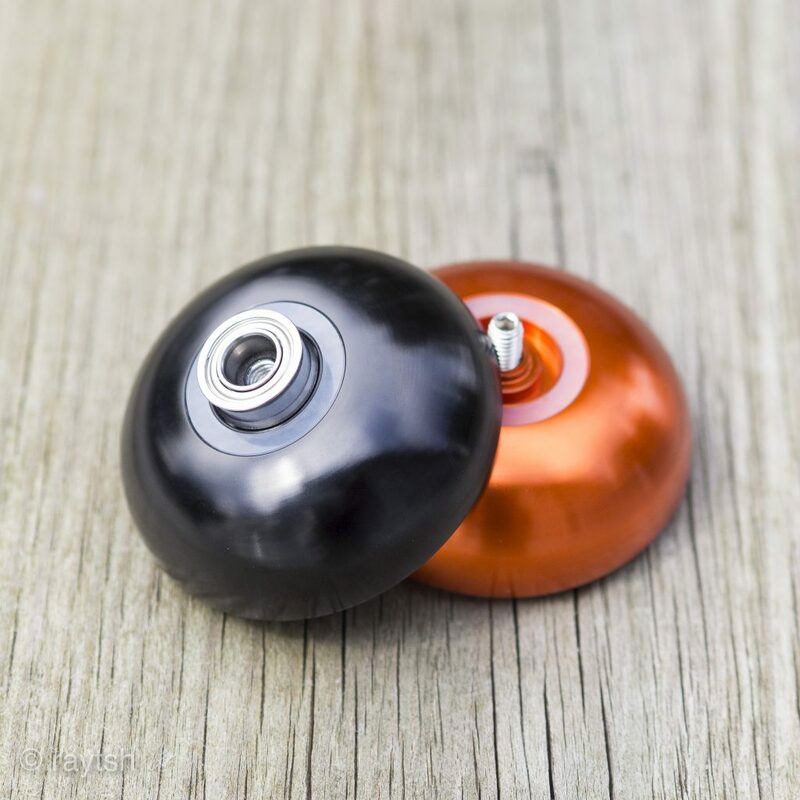 When we started making yoyos 11 years ago, we came up with the idea to call our first yoyo E1NS. ‘Eins’ being the German word for ‘one’. After the outcome, its impact and success exceeded our wildest expectations, we naturally began thinking about a successor. It just had to be called 2WEI, the German word for ‘two’, even though it wasn’t our second yoyo at that time. It was just fitting into the scheme. 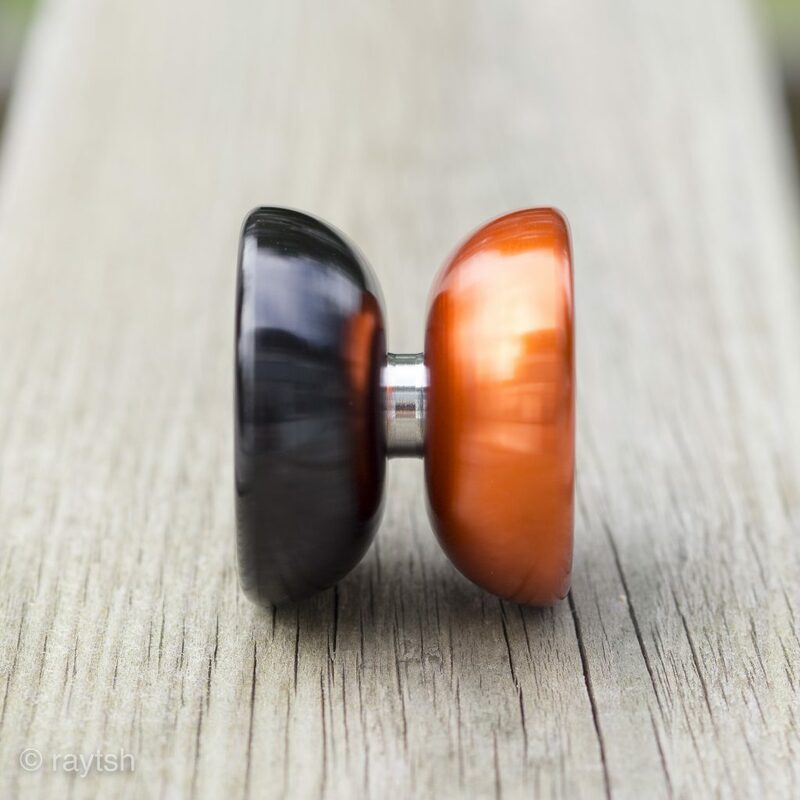 With the 2WEI we didn’t create an entirely new yoyo, but supersized the E1NS for those who are more into large wide throws. It was not as successful as its little brother was, but it is far more limited and thus highly sought after with collectors. Titanium for the body: Titanium can be machined to very thin thickness and still remains its strength properties. Ideal for a yoyo body. Steel weight rings: With its high density, steel allows for a nice rimweight when used as weight rings. 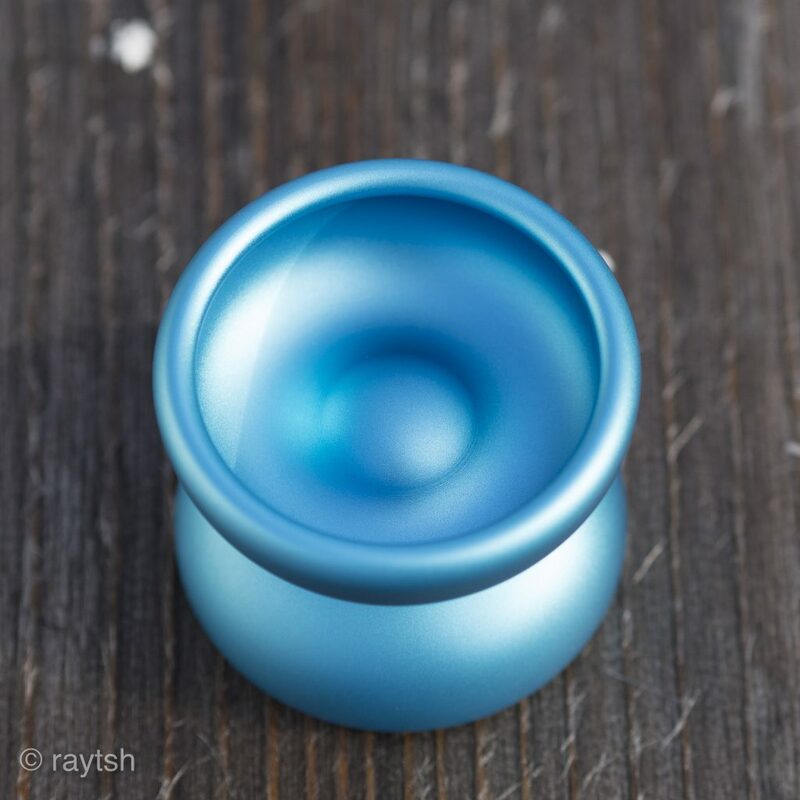 Aluminum cup: Aluminum is very light and can be anodized with great effects giving the final yoyo great looks. 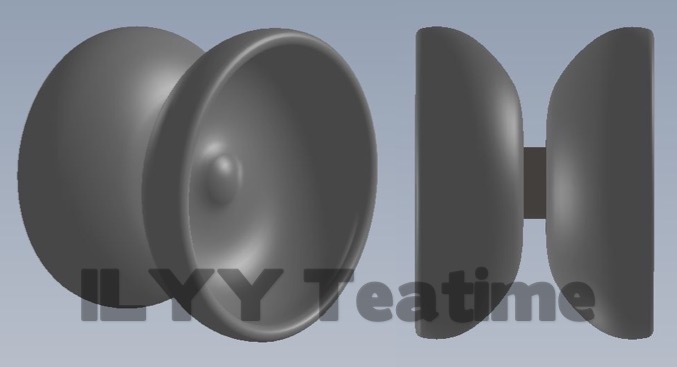 This inserted cup design finally allowed us to use a dimple in the cup center to improve the spin stability and the self-centering properties, which we could not achieve with the Abyss design. The next challenge was to find a partner willing to make this vision a reality with us. After many inquiries, we realized we had to look internationally. We finally found a brave machining shop near Hong Kong, that was ready for the challenge. We were impressed by their dedication and attention to detail. Nevertheless, it took us an entire year to finalize the design and production. Now we can finally show you the finished product. So here it is, the ILYY DR3I! The aluminum cup is fitted into the steel ring from the backside and the assembly is then fitted into the titanium cup. This allows for a seamless transition between the metals. On the backside of the aluminum cup, we lasered the meaning of two of our up until now undisclosed acronyms: KMK and PYBIT. So the solution will be out there but still kept safe, unless…. We are still exploring anodization on titanium to achieve better contrast to the weight rings. This will be addressed in the planned release. We rely on our custom Hot Red sILYYcone response and a custom KMKct c-size bearing. Let us know by email (info at ilyy dot de), if you are interested in getting one from the run. We have to test the waters here and check the demand beforehand. The run will nevertheless be very limited (10 max.). We plan to sell these for 350€ a piece. So let us know, if you want to call a piece of ILYY history your own. I finally got around to updating our yoyo-page to include our most recent relases. 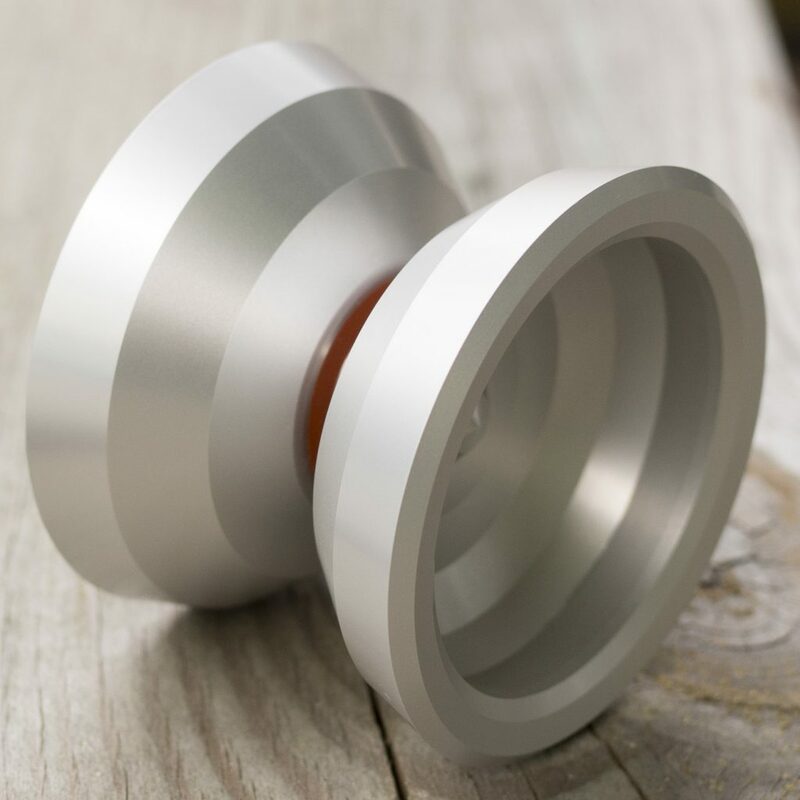 Now that we delved into the titanium world, there was another thing we haven’t done in our 10+ year journey into yoyos yet: bimetal construction! Said and done. Double release again. 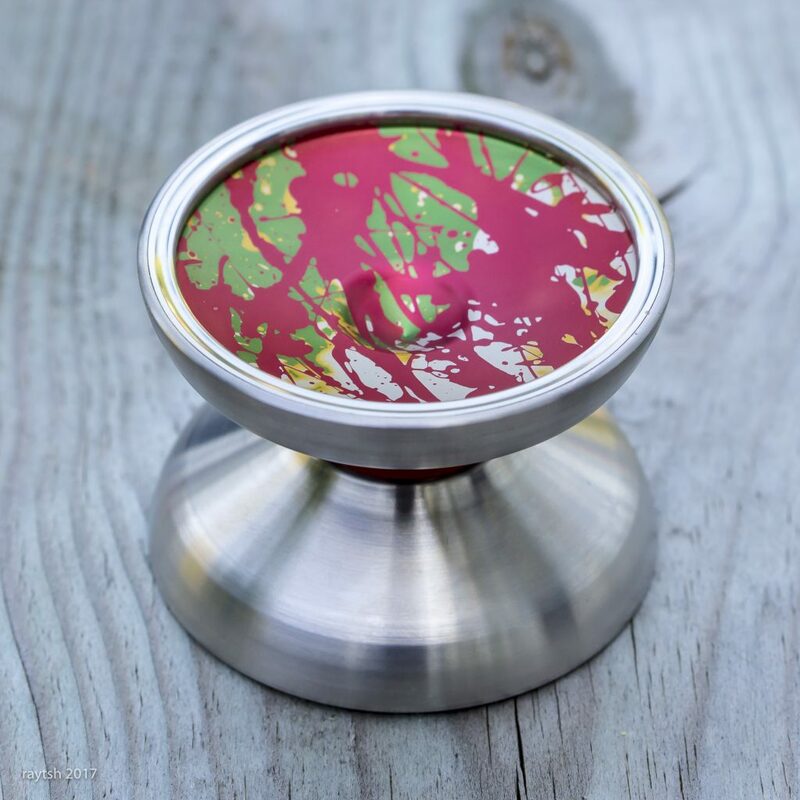 Both yoyos are available directly from us (email). Price is 100€ each.